How are all you lovelies today? Wonderful I hope and soaking up all the wonders this life has to offer! 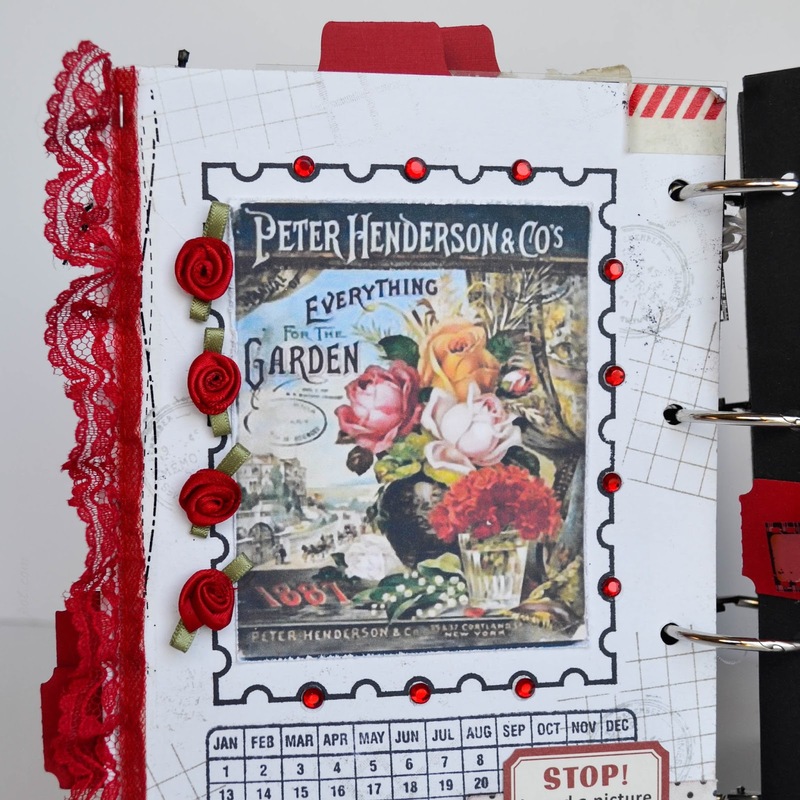 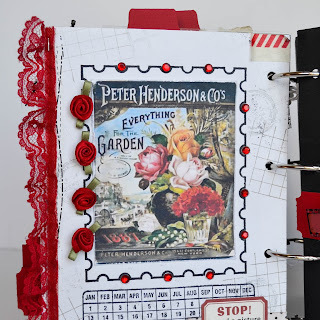 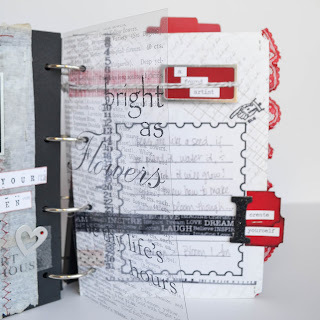 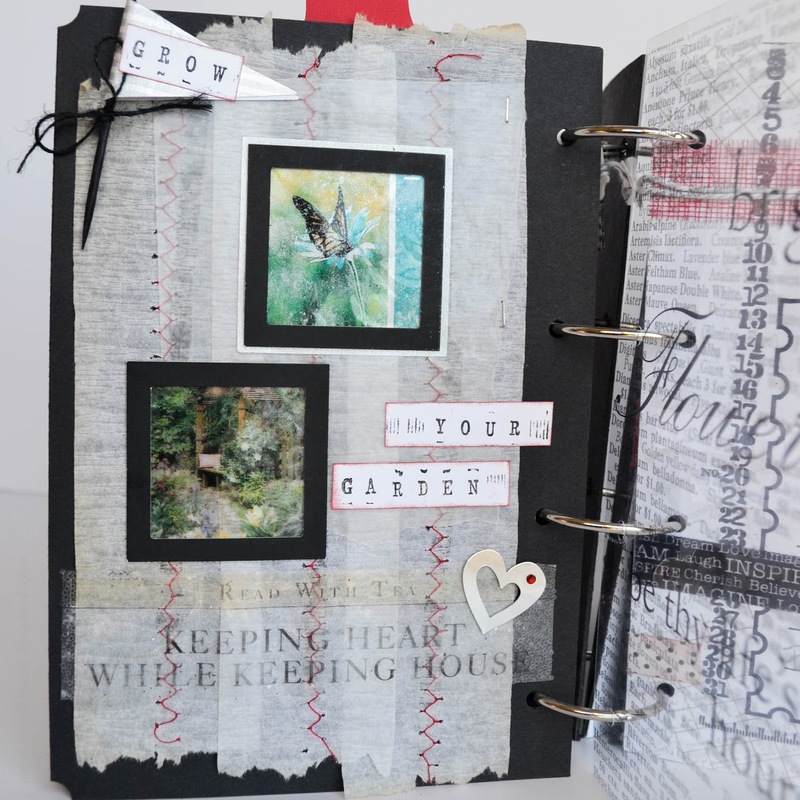 Today I thought to share what would be best described as a scrap junk journal, there is certainly a scrapbook feel to it but also very much a junk journal feel. 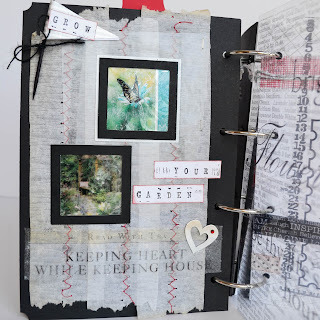 I believe I made this 5 years back maybe even further but I honestly can't remember anymore. 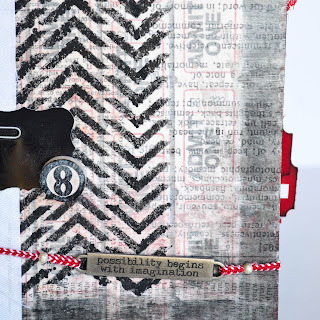 For the pages I used white card stock and just went at them with whatever struck my fancy in the moment...many of them have a collage of stamping, some have bits and pieces from other older embellishments that I made a long time ago and some are a collection of scrapbook embellishments that have long since been retired or just out-of-date but being that they were some of my favorites at the time...well...I had to use them. 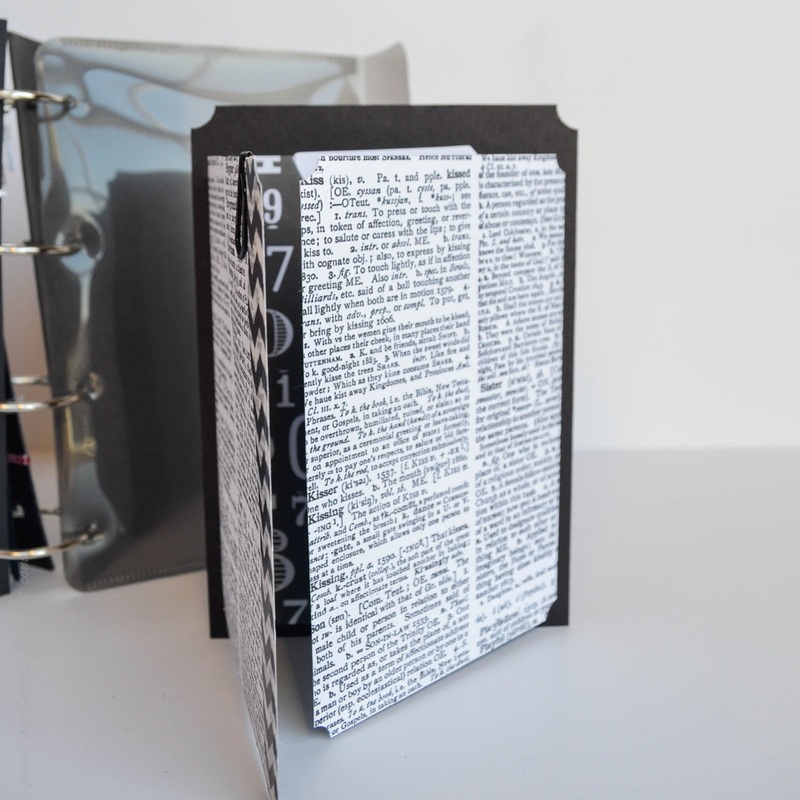 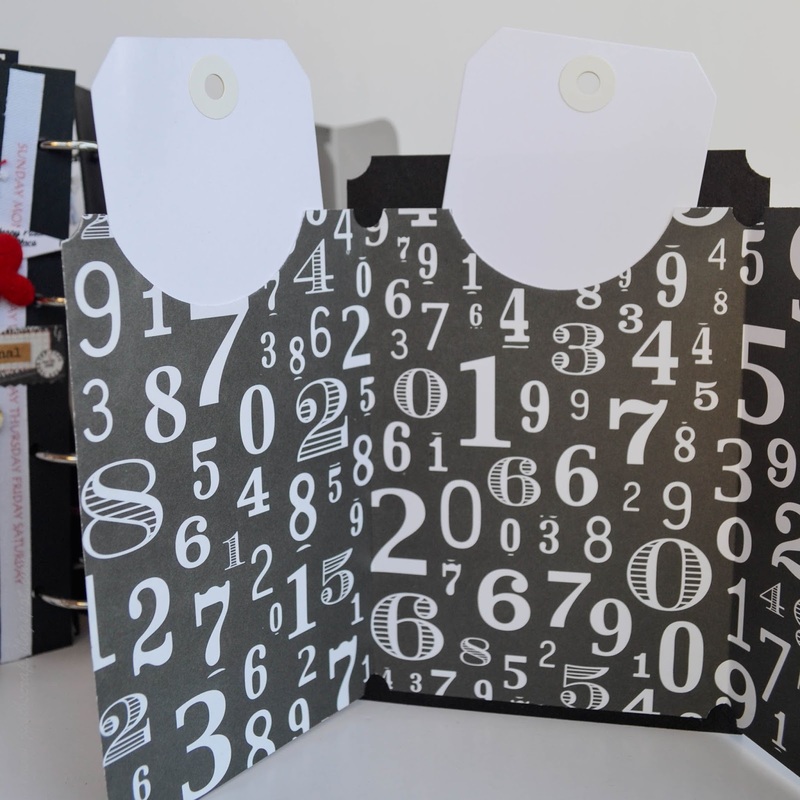 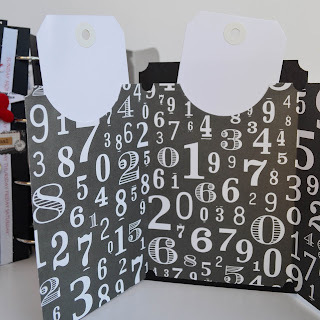 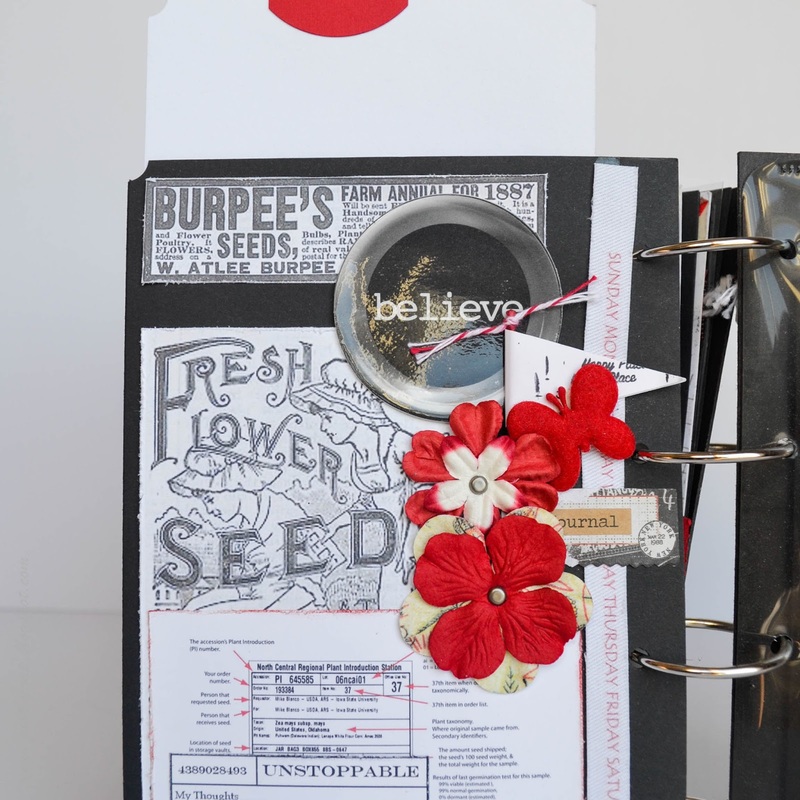 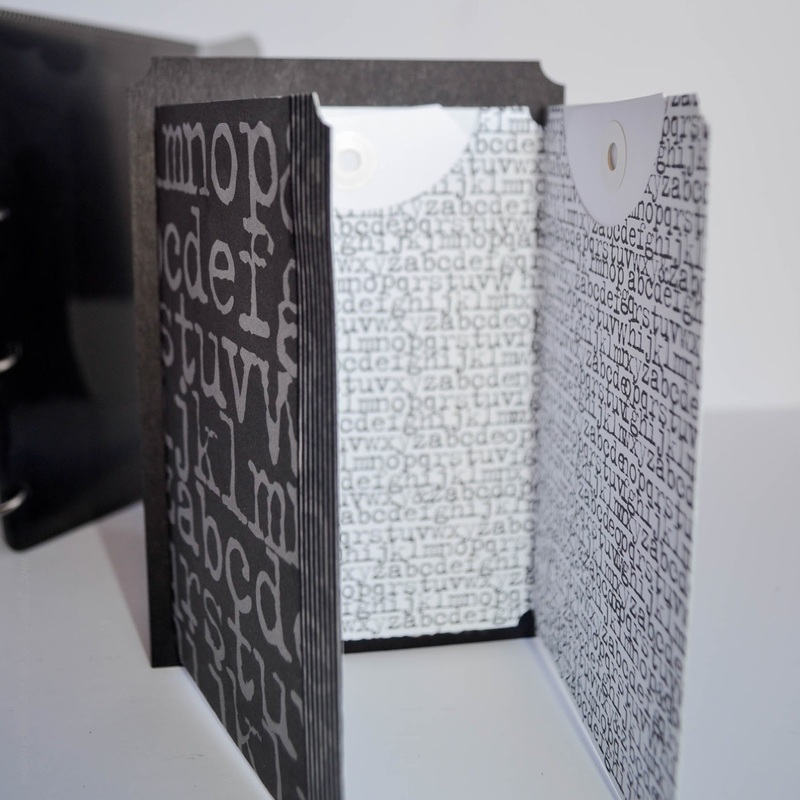 I also included tabs and tops and transparencies and ribbon and chipboard letters. 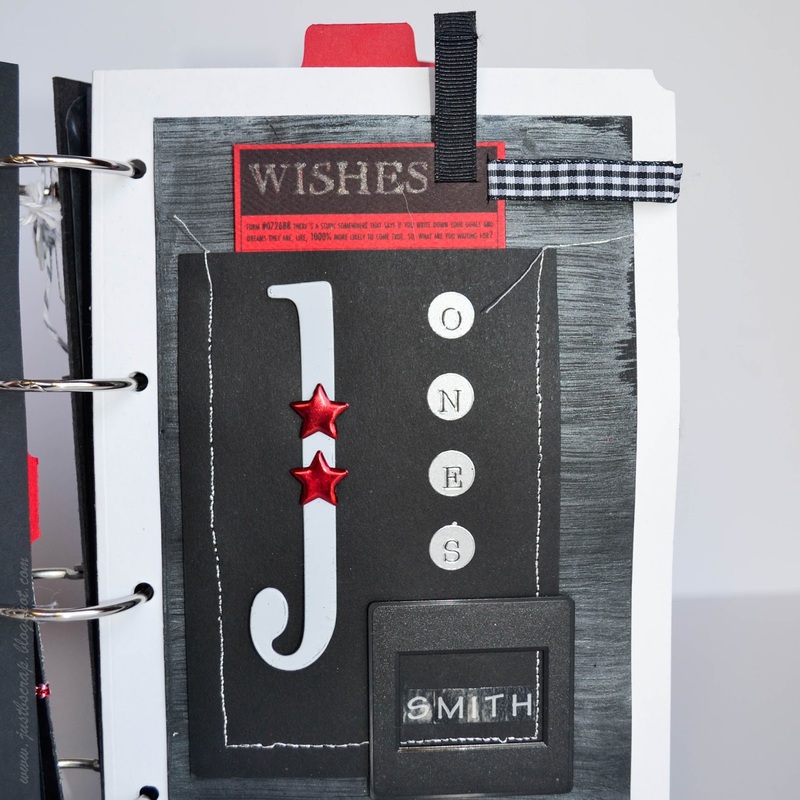 Do you remember the metal rimmed tags that were popular ten years ago? 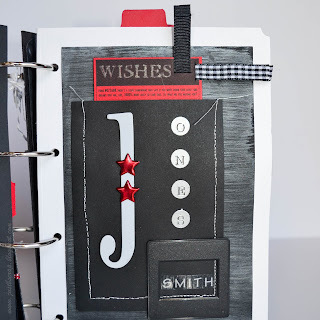 Yeah those are in here also, but what's even cooler is that Tim Holtz just released a new product that brings those goodies back. 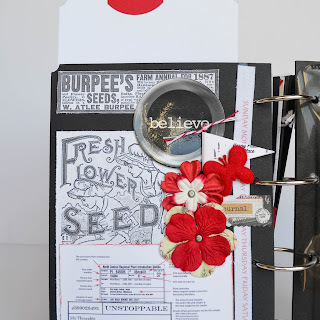 Remember those little tiny flowers that people would use for kids clothes or doll house crafts, yep they're in here too along with some red trim that I love. 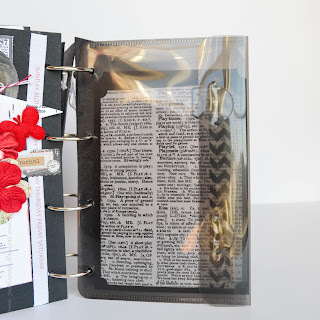 How about those little plastic sequins that were shaped for a time, yep those are in here too. 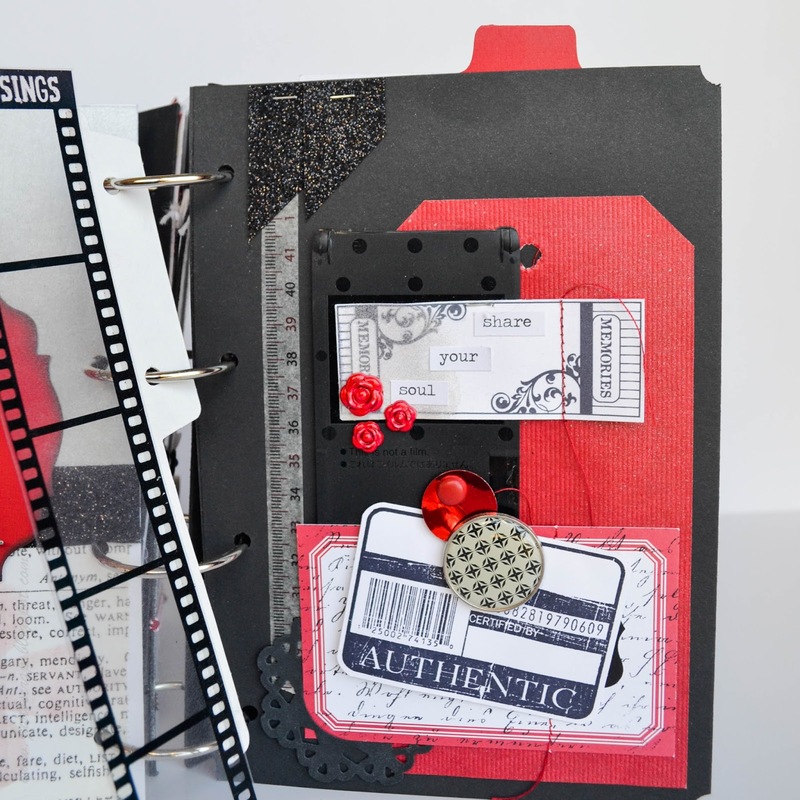 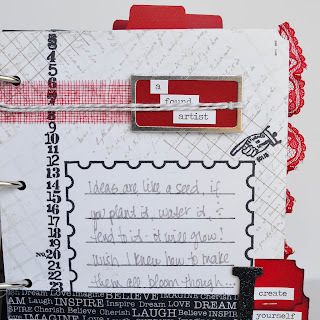 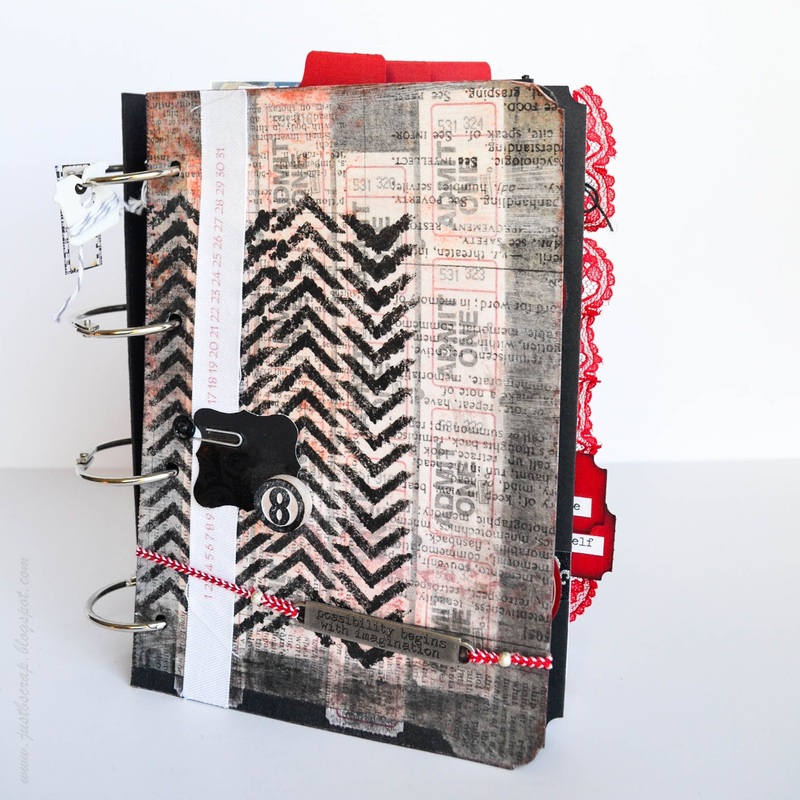 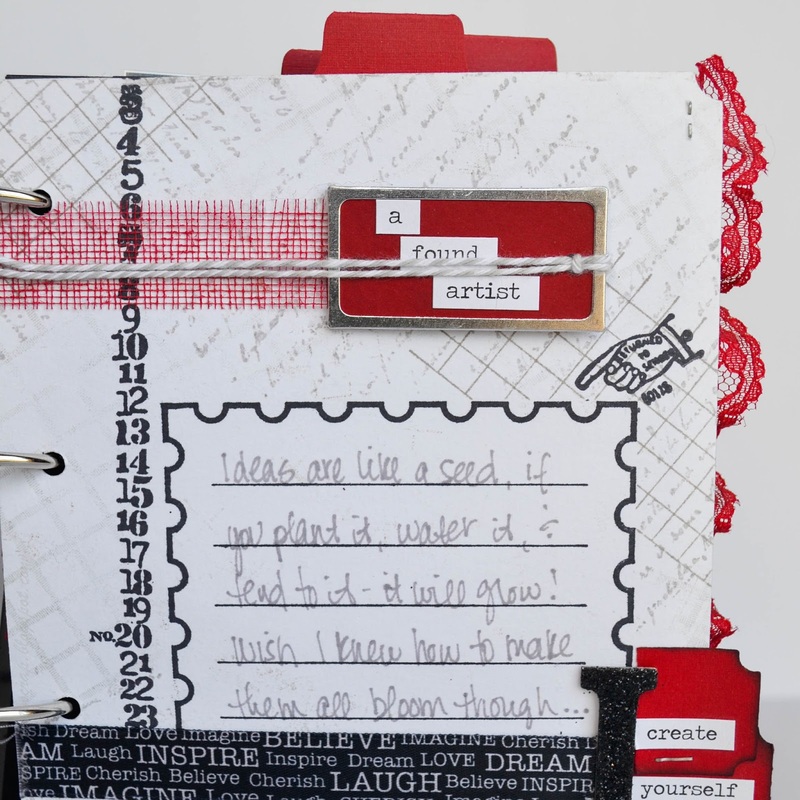 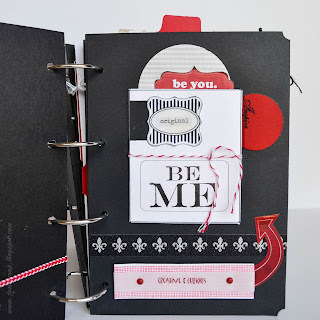 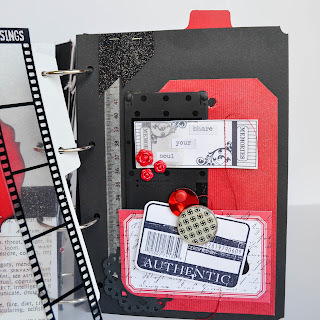 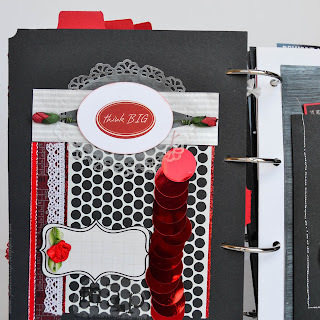 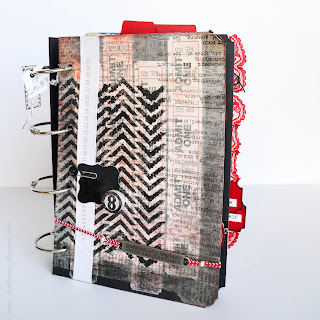 On this page I have brought in some washi tape (who knew that would end up being huge) plus I also have some digital elements...I'm loving all the red and black how about you? 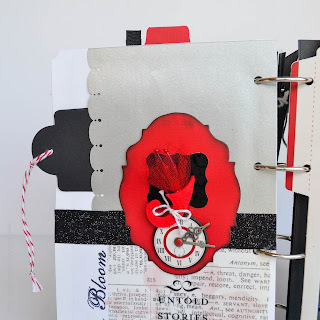 Finally the last page boasts the original paper flowers that Prima introduced many moons ago and I think I also spy with my crafter's eye some baker's twine. For the back of this scrap junk journal I wanted an actual pocket so I found this plastic sleeve pocket thing at Staples, took off the adhesive strip and then punched the proper holes so that it would fit my book rings. 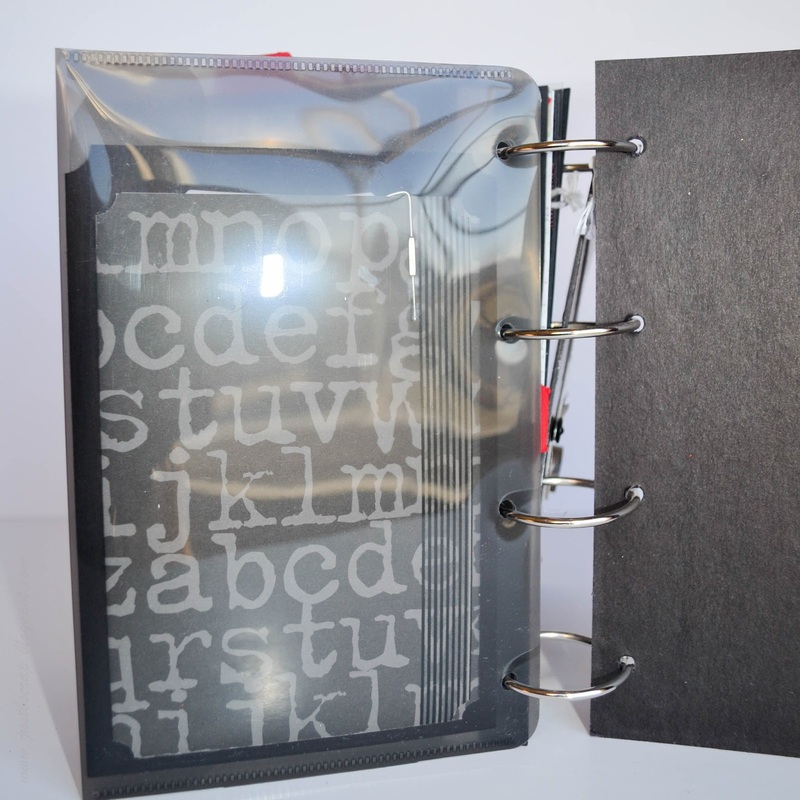 I like the pocket and the plastic of it kind goes along with all the other plastic pieces throughout the rest of the book. In the pocket of course I needed something so I created an accordion pocket booklet thingy and added some large tags. 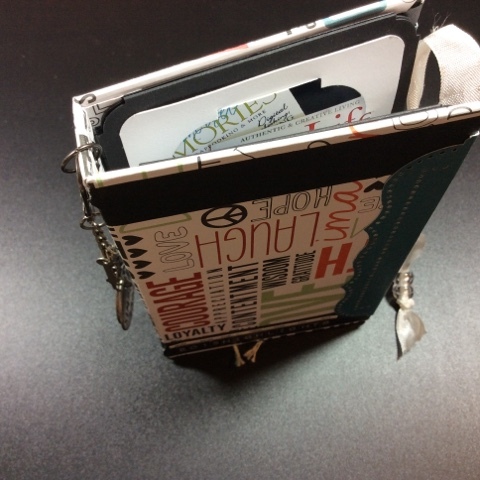 It's double sided so there is lots and lots of room to journal. 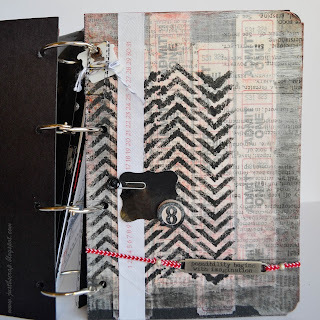 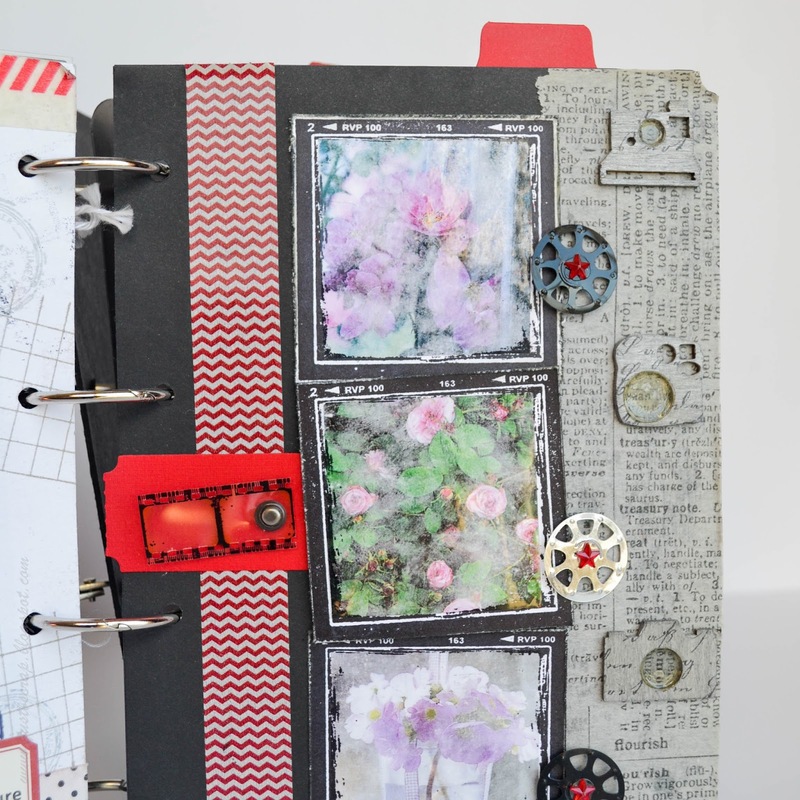 So there we have it - my scrap junk journal mini book of sorts. 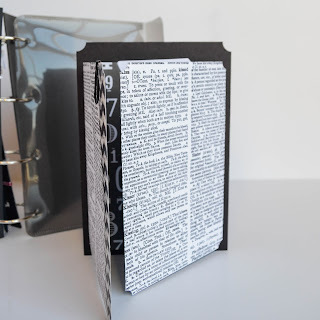 I hope that this inspires you to think outside of the lines and just put your favorite pieces all together, you can simplify it more than I did or you can expand on it way more than I did. You could keep with a color scheme like I have done or you could toss that out the window and do multiple colors, say all bright colors or all primary colors...the choice is yours and the options are limitless. 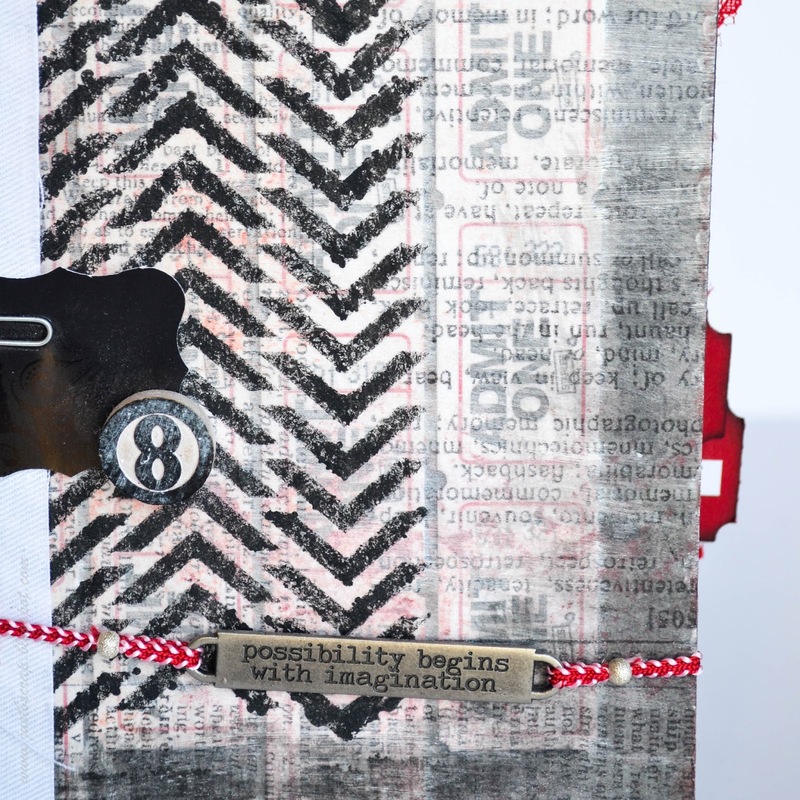 Thanks for taking a peek and I hope that you have a wonderful week ahead, craft when you can, rest when you need, and love as much as possible.